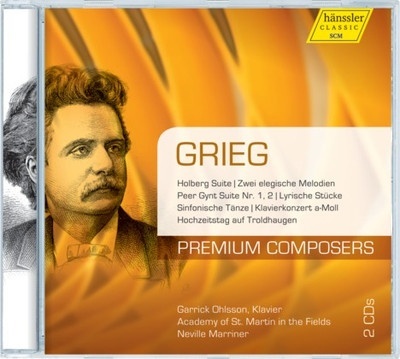 For the tenth installment of hänssler CLASSIC's new budget series, "Premium Composers," we are transported to to the fjords and mountains of Norway for a full program of the most beautiful orchestral works of Edvard Grieg. Featured of course, is the ever-popular Peer Gynt Suite, Holberg Suite and the immortal Piano Concerto. Each work is given a first-class performance under the direction of the legendary Neville Marriner.